Sharon McGeough-Adams worked for nearly four decades at HSBC and hardly had a day off. Despite having to live with Crohn’s disease when she left the bank in 2012, she looked forward to a modest retirement that would enable her to make ends meet and allow her to spend quality time with her loved ones. Then she discovered what thousands of others who worked for what was previously called Midland Bank are now just starting to find out – that once they reach State Pension Age, they stand to lose in some cases up to a third of their pension each year. Hidden in the small print of their pensions is what HSBC has called ‘state deduction’ – a confusing term that these thousands of workers assumed was an amount taken by the government. But after chatter on a Facebook page which would soon transform into a campaigning tool, these past and current workers were led to a startling discovery. This ‘state deduction’ had nothing to do with the government. It was money HSBC was surreptitiously stripping out of their retirement incomes that they had worked for decades to earn. Sharon, who is now 60, will be stripped of £2,317 each year once she turns the state pension age of 66 in five years’ time – that’s around £200 each month. It’s a practice called ‘clawback’ where employers reduce, or ‘claw back’ their former workers’ pensions by the basic state pension amount once they reach state pension age. Some are even worse off than Sharon — the amount deducted through clawback varies widely among different pension scheme members depending on how long they’ve worked and when they started. Those who don’t receive the full basic state pension will, under HSBC’s clawback policy, still have the full amount deducted. Clawback also disproportionately affects those on the lower end of the income scale. HSBC operates more than 20 pension schemes and only members of one – those who are on the post-1974 Midland Bank defined benefit pension scheme, about 50,000 people – are subject to clawback. And in 21st century Britain, HSBC is now in the minority of companies still applying clawback. About 70 per cent of private pension schemes that previously used clawback have phased it out – and the public sector did away with the practice entirely nearly 40 years ago. “Many first discovered clawback when it was being discussed on a Facebook page for former Midland Bank workers. We feel that ‘state deduction’ was never explained fully and certainly not at the induction when it should have been made clear,” Sharon told UNITElive. Over only a two-year period, the Facebook page has garnered more than 9,000 members. The Midland Clawback Campaign also has a Twitter account and a website where people affected by clawback can share their stories and fill out a survey. And the group’s activism has transcended the online realm too – they’ve formed a committee that has lobbied Parliament and received the support of MPs across the political spectrum. They’ve written to HSBC bosses who, though remaining unmoved by their arguments, have implicitly acknowledged that their communication wasn’t always the best – after a meeting late last year, the specific wording in official communications to members was changed overnight. 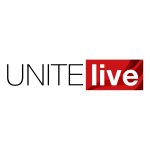 Now, the campaigners have teamed up with Unite to further ramp up their fight. The Midland Clawback Campaign has argued that removing clawback is a perfectly reasonable demand – aside from the rank injustice suffered by the bank’s lowest paid workers, the cost to end this injustice is £442m. “The bank itself has said this sum is do-able – against a backdrop of HSBC’s pre-tax profits last year of £12.3bn, it’s easy to see why,” Sharon notes. Ultimately, the campaigners are fighting not just for their individual pensions but to put an end to one aspect of growing inequality that has come to define the finance sector. “Clawback is inherently discriminatory because it hits the lowest-paid – most of whom are women – hardest. It is galling when you read that [former HSBC CEO] Stuart Gulliver will get paid millions even after leaving the bank this year and then you have tens of thousands of low-paid workers facing an uncertain future in retirement. Unite national officer for finance Dominic Hook praised the campaign and explained why Unite is lending its full support. “The post-1974 pension scheme was arguably designed when people worked full time and for their entire careers for the same employer,” he said. “The present reality has been very different — we have a wide range of low-paid and part-time staff who are coming up to retirement and where the state deduction has a disproportionate effect on them compared to their more highly paid colleagues. “What’s more, the pension fund was in surplus at the last valuation at a time when so many pension funds are in deficit. There is absolutely no excuse for continuing with this outdated practice that harms the lowest-paid – those who will already struggle to make ends meet in retirement. You can find the Midland Clawback Campaign on Facebook here on Twitter @MidlandClawbac1 or visit their website here.